Upgrade your skills by accessing job-relevant training and let us market you to employers! The African Accounting Academy is our flagship course. The course prepares you for an entry-level role in accounting or finance, ensuring you excel once you’ve found that role. The course contains approximately 80 to 100 hours of training, broken down into 15 modules. Each module has videos, exercises, case studies and assessments. Our course is exclusively offered online. It is available anytime, anywhere so you complete it at your own pace. Complete all assignments and pass the final exam and receive a certification of completion. Our top students are marketed to employers and recruiters using the Haystack Database. Ask our facilitators questions and network with other students. 80 to 100 hours of training, designed with only one goal – get you ready for a professional job. Unlimited access to all course material for 6 months. Certificate of completion upon successful completion of the final assessment. 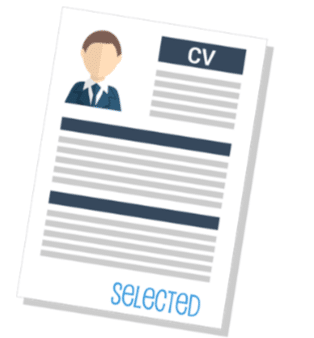 Your name, CV and test scores stored in our database – to match you to entry-level jobs and our recruiting partners. Access to highly qualified CPAs – available to answer questions and provide guidance through our question and answer forum. *Please note, you will need a computer and an internet connection to access the course. Take our free assessment to see if you are a good fit for the course. The Haystack Database is exclusively available to our students. Pass the final assessment and your CV and test scores get entered into the Haystack Database. Recruiting firms and businesses looking to hire an accountant access the Haystack Database and contact you directly if you are the right fit. Our course is interactive and is 100% online! Be prepared to work. You will need to complete exercises, case studies, and simulate what you’ll do everyday on the job. Learn about the elements of the financial statements. Learn about transactions, journal entries, debits and credits. Become a debit and credit expert by learning about advanced accounting transactions. Learn about the different risks that impact a business and what it means for you, as an accountant at an organization. Learn how to minimize financial statement and operational risks by understanding internal controls. Learn about the cash receipts process. When a company receives a payment, how do we account for that? Learn about the cash disbursements process. When a company makes a payment, how do we account for that? Learn about the bank reconciliation process but more importantly, learn how to perform a bank reconciliation. What happens at the end of the month for the accounting team? In this lesson, we learn about the month-end procedures. Budgeting is an important process for all organizations. Learn what a budget is and how to perform a budget-to-actual analysis. Let’s get you ready for your interview! The Dos and Don’ts of interviews and CVs. Learn the best ways to conduct yourself professionally in the workplace. Learn about the different taxes that impact companies in your country: corporate income tax, VAT, withholding, district taxes and payroll deductions. An introductory course to Excel. Learn how to format tables and analyze data using formulas, functions, pivot tables, and VLOOKUPs. Learn the basics of QuickBooks Online. Enter invoices, bills and journal entries, just like you’ll need to do at your job! Are you ready to take your accounting career to the next level?